"Awesome Dr and staff!!!! Thank you Atlantic coast pain specialist for helping me." "He is a very knowledgeable doctor. His caring and compassion were excellent." "Dr. Kline and his staff are very knowledgeable, attentive and caring." "The staff is wonderful, very professional and caring." "I would recommend him to anyone with pain problems." "Dr Kline and his staff are awesome!!" R. Blake Kline, MD, was raised in Clemson, South Carolina, and chose to remain in his home state for much of his education, and Dr. Kline continues to deepen his ties to South Carolina through his medical practice at Atlantic Coast Pain Specialists. His patients receive unparalleled interventional pain management and anesthesiology care. Dr. Kline’s medical education began with a Bachelor of Science degree from Coastal Carolina University in Conway, South Carolina. He went on to complete his medical degree at the Medical University of South Carolina in Charleston. Dr. Kline expanded his skills and knowledge through an internship at the Medical College of Georgia in Augusta where he also completed his residency in anesthesiology through the same institution. He is a diplomate of the American Board of Anesthesiology. Eager to pursue leadership roles, Dr. Kline accepted the role of Chief of Anesthesiology at two different hospitals. He holds the distinction of being the first anesthesiologist in the state of South Carolina to perform anesthesia for an open heart surgery completed using robotics. Early in his career, Dr. Kline practiced both anesthesiology and interventional pain management. However, in 2012, he decided to focus exclusively on improving the lives of his patients through interventional pain management. Dr. Kline joined Florence Neurosurgery and Spine in 2012. While working with a group of four neurosurgeons, he was the director of interventional pain management. While there, he was honored to be named one of the Top 10 anesthesiologists in South Carolina by vitals.com. In 2015, Dr. Kline decided to move his practice to Conway, South Carolina. At Atlantic Coast Pain Specialists, Dr. Kline is enjoying building a thriving practice in Coastal Carolina, a part of the world that he loves. 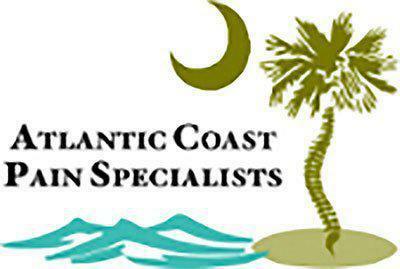 At Atlantic Coast Pain Specialists, we accept most major insurance plans. Here is a list of some of the plans we accept. Please contact our office if you do not see your insurance provider listed. "Wonderful experience! The staff in his office goes out their way to make you feel as comfortable as possible and they are always smiling!" "He listens. He knows what to do. He is a professional. I couldn't ask for a better doctor. I would sincerely recommend Dr. Kline to anyone." "He gets to the root of the problem and does what's necessary to address the issues. This man cares." "There isn't enough words to explain the excellent, educated, compassionate man this Dr is."